We are a full-service law firm representing clients in various aspects of law since 2006. The most distinguishing feature of our service is a deep sense of compassion and a dogged determination to get our clients their desired results. We are courteous and respectful and are always driven by a fierce loyalty to the aspirations of our clients. We tell our clients like it is and take our time to explain exactly what their case entails and what options are before them. We strongly believe that a client who is well-informed about their case is a client who understands what it takes to win. We have represented hundreds of clients in Chicago and neighboring counties, achieving sterling results in Immigration, Bankruptcy, Divorce, Child Support/Custody, Personal Injury, Police Misconduct, Employment Discrimination, Foreclosure, and a whole host of other legal issues. The US legal process can be intimidating and daunting even for the well-heeled individual. Choosing a lawyer to represent you in a legal matter is a decision that should be made with utmost care because most cases involve life-changing situations that require great skills and undivided attention. We take your decision to hire us as an important call to duty. We stay true to your goals with unmatched dedication, protect your rights and interests with great fervor and fight for your desired results with everything we've got. We want you to know that the moment you put us in your corner, you have the best Chicago has to offer. You'll not only get our undivided attention, you'll get all the attention you deserve. Our clients are very important to us and so we take great care in handling any issues they put in front of us. We are so confident we'll give you the best representation because we know we will always count on you to refers others. 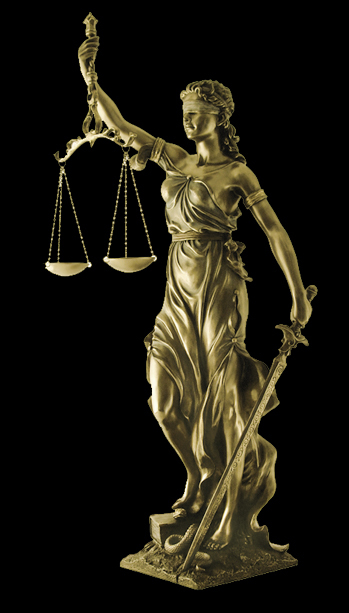 Our client was unjustly arrested and detained by the police on allegation of violating visitation/order of protection. We filed a civil lawsuit in federal court in Rockford, Illinois. The case settled for $55,000 shortly before trial. Our client had spent thousands of dollars in a three-year divorce tussle that won’t end because his lawyer and her lawyer were encouraging them to fight an unnecessary fight. We came in the picture, cut to the chase and resolved the divorce in a matter of weeks, saving both sides thousands of dollars. Our clients were traveling in a car when it was rear-ended. They suffered soft-tissue injuries and abrasions and received extensive hospital treatment and therapy. Their first lawyer quit because of insurance company questions with pre-existing conditions. We took over the case, put pedal to the metal and secured $38,000, $45,000 and $28,000 settlements respectively. We represented scores of clients in complicated immigration situations including Removal, Denied Petitions and other complications arising from bad representation or self representation. We worked diligently to remedy the situations and took the nightmare and uncertainty out of the lives of many. Our client, a nurse was wrongfully terminated from his employment because he did not promptly respond to a code even when he was attending to another patient who needed immediate attention. We filed a lawsuit in the federal court in Chicago and won a judgment for $66,000. Our client nearly swallowed a needle in her salad bowl in a major restaurant. We filed a civil lawsuit in Chicago. The case settled for $28,000 before trial. Since 2006, we have represented well over 1,000 clients in various aspects of Law and achieved 95% success. We take your decision to hire us as an important call to duty and never lose sight of your desired outcome.